The Hellraiser franchise continues with a tenth instalment. Hot on the heels of last year's theatrical rerelease of Clive Barker's 1987 original, the Hellraiser series continues with a tenth instalment, Hellraiser: Judgment, set to arrive in 2018. A trailer has debuted courtesy of Bloody Disgusting, with a US blu-ray/DVD/VOD release set for February 13th. A UK release has yet to be announced. Along with Paul J Taylor as the iconic villain Pinhead, Hellraiser: Judgment stars A Nightmare on Elm Street's Heather Langenkamp. 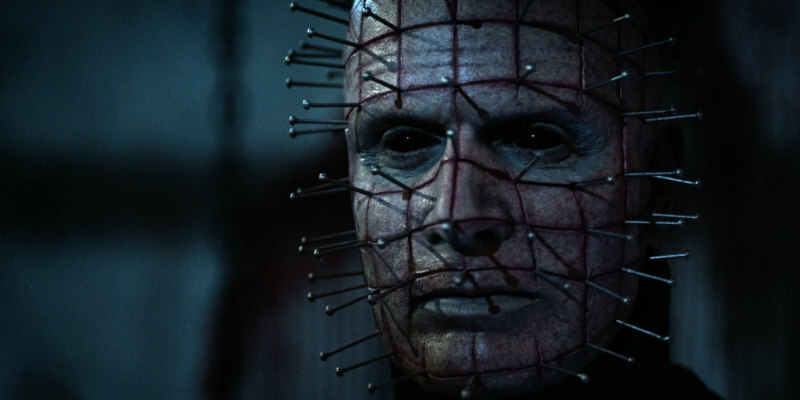 The dreaded Pinhead returns in the next terrifying chapter of the classic Hellraiser series. Three detectives trying to stop a diabolical serial killer are sucked into a maze of otherworldly horror, where hellish denizens including the Auditor, the Assessor, and the Jury await to pass judgment.